The Chinese (and also Vietnamese, Koreans etc) are celebrating the Lunar New Year next week! Decorations for the Lunar New Year has been up for some time. I only notice this yesterday. 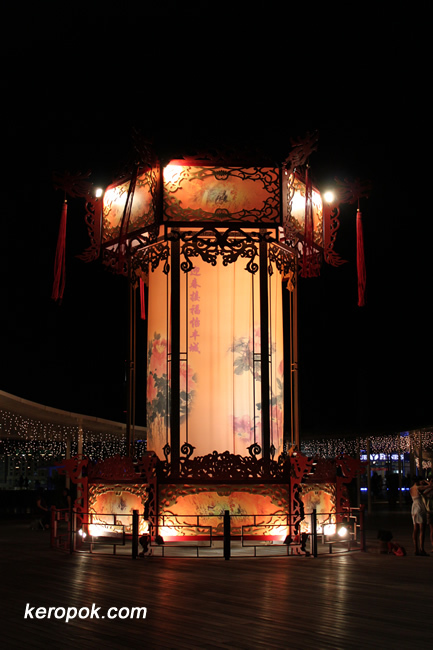 A huge Chinese Lantern! If you are wondering how tall it is, look at the person in the photo to have a rough estimation.